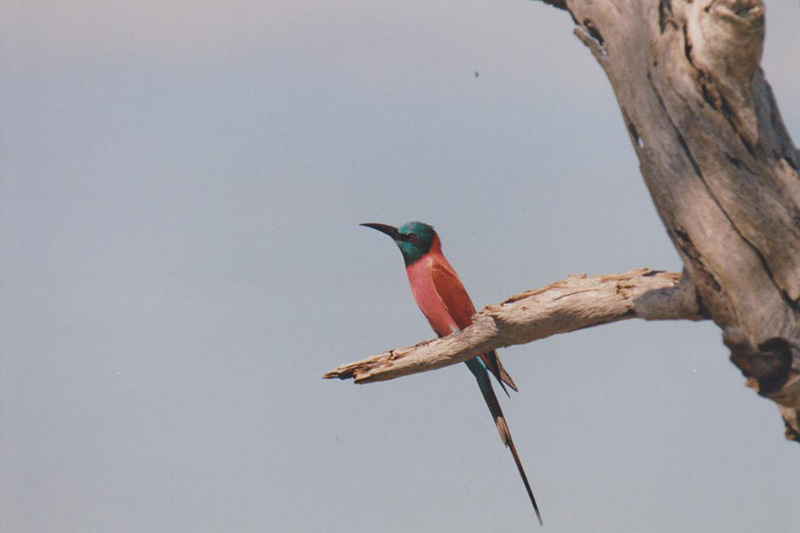 Travels in Tanzania-extracts from "Safari, Diary of a Wildlife Artist." The Serengeti and Ngorongoro Crater - apart from the Masai Mara few other game reserves conjure up a picture of the African plains that is legendary. The crater was created by violent volcanic action 2-3 million years ago which resulted in the largest caldera in East Africa and the sixth largest in the world. Ngorongoro is like a microcosm of the wildlife of Africa and as such is completely unique. The slopes are lined with lush tropical rainforest leading down to the floor of the crater spreading out as rich green savannah teeming with life. 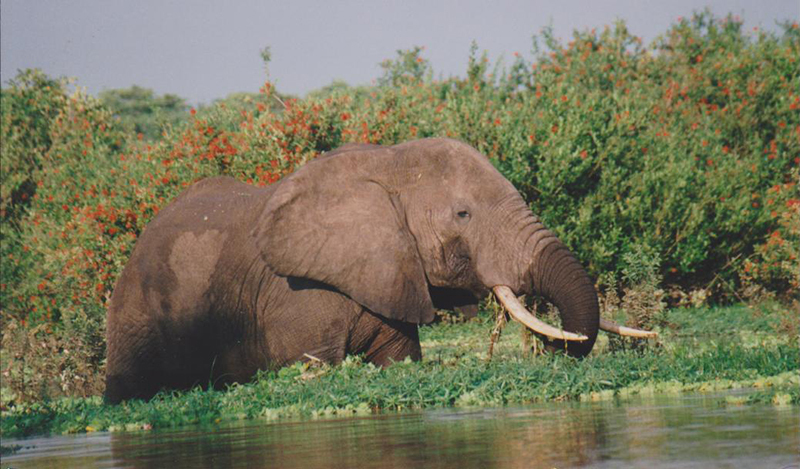 Due to it's position the crater provides a safe haven from poachers and we saw some of the largest tuskers we had ever seen. The Serengeti, along with the Masai Mara in Kenya, are famous for the migration of over 1.5 million Wildebeest who cross these plains in an endless search for fresh green grass. They follow the rain in a 1,000 mile trek which takes them 12 months to complete and during that time the Drama is re-enacted whenever they have to cross a crocodile filled river. This is what draws people back time and time again. One of the world's greatest naturalists, George Schaller wrote of the Serengeti " To witness that calm rhythm of life revives our worn souls and recaptures a feeling of belonging to the natural world. No-one can return from the Serengeti unchanged, for tawny lions will forever prowl our memory and great herds throng our imagination. After a two hour drive we enter the Serengeti Conservation area and are immediately confronted with the sight of Wildebeest as far as they eye can see. In the distance they look like tiny black ants, nothing in your imagination prepares you for this sight or the constant deep nasal sound as they communicate with one another. The highlight of our morning was finding seven cheetah's - two singly, then a mother with a month old cub. Later we found another mother with two fully grown cubs on their way to hunt. The sight of these beautiful creatures at such close quarters is an amazing experience. 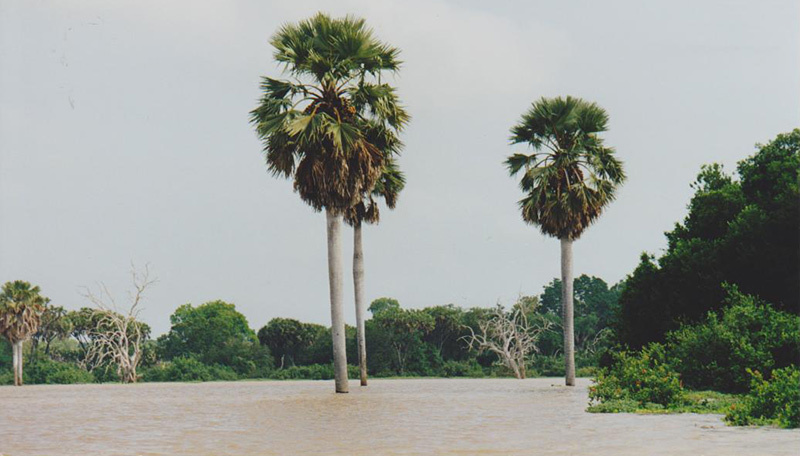 The Selous is Africa's largest and wildest game reserve and due to it's unique ecological importance, became a 'World Heritage' site in 1982. 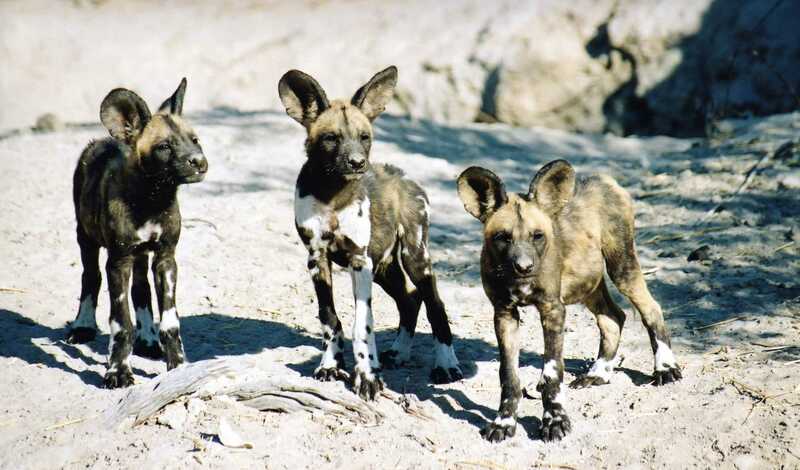 The absence of mass tourism contributes to the spectacular concentrations of wildlife and a pristine wilderness in an area of around 45,000 sq.km. being bigger than Switzerland or Denmark. It was in the Selous that we experienced our first game walk when you have the chance to 'get up close and personal' with the wildlife. Animals generally try to avoid human contact but it is still necessary to have the security of an armed guard. 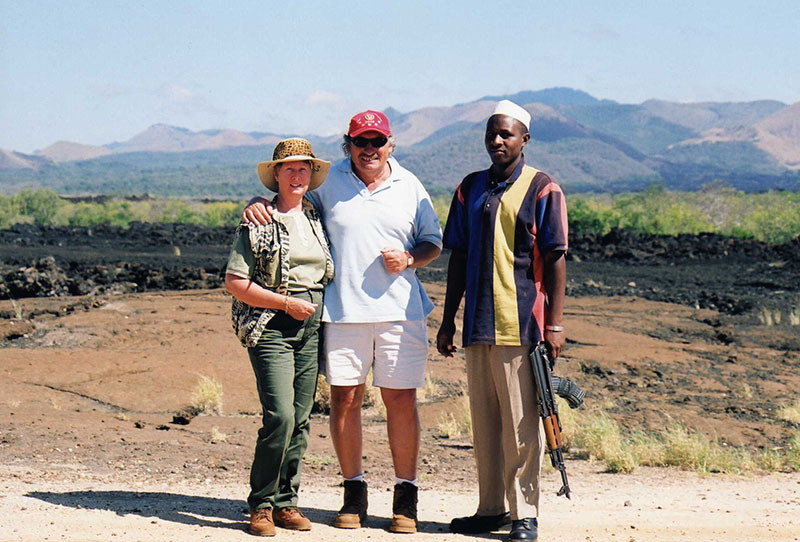 When you have a herd of elephants browsing only a few hundred yards away, an armed guard is quite a comfort!!!".... As our camp was open to the bush it was possible for animals to wander through at any time..........on one occasion I was walking towards the viewing platform overlooking part of the river when I realised that an elephant was browsing just a few feet away.......it meant I was unable to walk further and the people on the platform were marooned until he decided to move away which was not for quite some time......it was lucky I spotted the elephant because I could so easily have walked straight into him as I am often looking up into the trees for interesting birds. I think there's a lesson there somewhere. All together the Selous provided us with many unique and memorable experiences, seeing wildlife from a completely different angle.